For this recipe you need a London Broil cut of a turkey breast. Look in your local grocery store – we found a pre-packaged Shady Brook Farms “Turkey Breast for London Broil”. 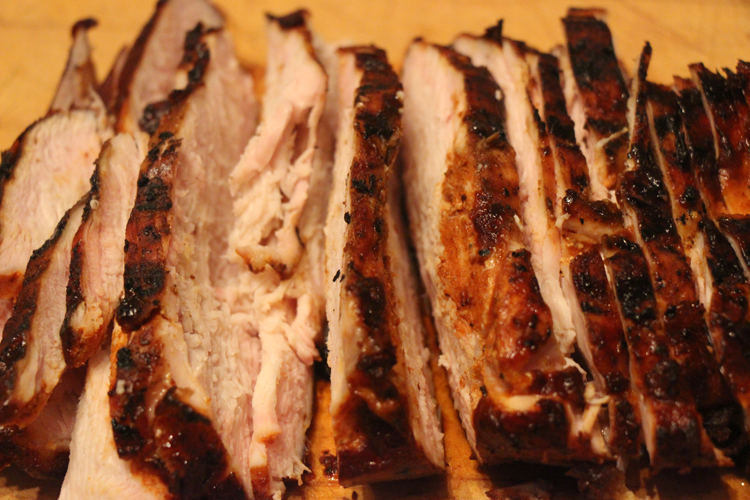 Cover the London Broil Turkey Breast with the Lang BBQ Smokers Signature Original Sweet Red rub. 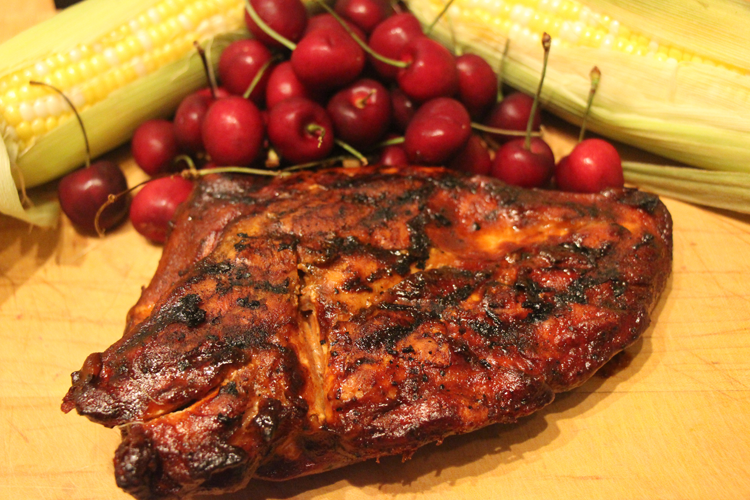 Cooked on smoker cooker for 2.5 hrs at 225˚F with an internal temperature of 165˚F. Finish the last hour with the sauce - the Lang BBQ Smokers Signature Original Sweet Red sauce. This entry was posted in Poultry, Turkey and tagged London Broil, turkey breast, Turkey London Broil by . Bookmark the permalink.